Are Chimney Swifts nocturnal -- sleeping (roosting) in the chimneys by day and coming out at night? They are nocturnal during migration (spring and fall) and diurnal in winter and summer. They are both, depending on where they are geographically. Yes, they are on the same schedule as bats who also eat nighttime flying insects. 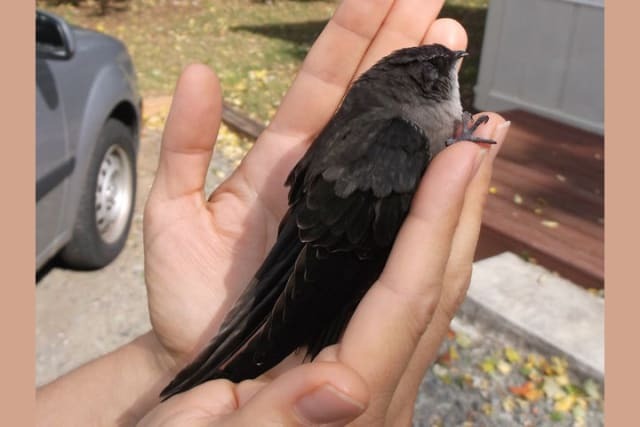 No, Chimney Swifts are diurnal -- roosting in chimneys at night and catching flying insects all day.